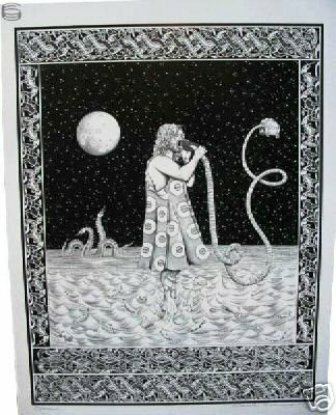 This is a mint condition poster of band member Fishman of Phish. An original fan art design by artist David Drennon. It is printed on heavy glossy cardstock. This poster measures approx. 20" x 24". Poster is signed by the artist himself in ink. It would look great framed with the other 3 members.